There are many types of wood fences to choose from. When it comes to choosing a rustic and charming wood fence for your yard, it can feel very overwhelming. There are so many types and styles of wood fences that it can be impossible to choose the right one for your tastes and needs. Here is a quick guide to a number of the types of wood fences to make that big decision so much easier. These wood fences make any wide open space into a quiet and serene environment. If you want to prevent dogs from yapping at the neighbors or simply enjoy privacy, this type of fencing is ideal. Spaced Picket Fencing is one of the most versatile and widely used fencing options. This classic home addition can be used to keep in children or dogs, surround a pool, or delineate property lines. They offer almost endless opportunities for customization to make sure your home and property truly reflect you. This type of fencing is often referred to as “neighbor-friendly” fencing. This is because both sides of the fence are the same, meaning that both you and your neighbors get to appreciate this fence’s good side! This semi-private fence style allows privacy without making you feel boxed in and can have different picket top designs. This type of fencing is solid at the bottom and has an attractive lattice top. 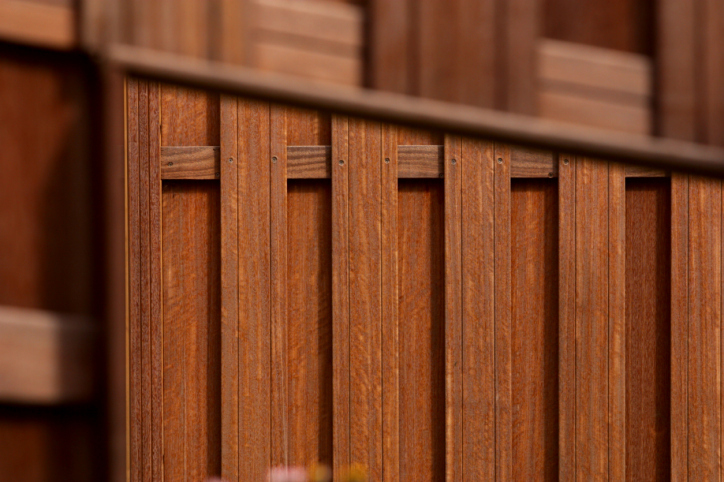 These fences customize and personalize your property by adding a unique look. As far as wood fences go, this is another neighbor friendly option. It offers both strength and warp resistance by eliminating gaps between each board. This cost effective product is rustic and available in several charming wooden options. This type of fencing is incredibly pool, pet, and child safe. This entry was posted on Friday, July 8th, 2016 at 7:02 pm. Both comments and pings are currently closed.